I have a confession. I am not much of a runner. I prefer swimming, cycling or interactive sports like Tennis to running. As a kid, I was very fit. I love to run and race with my friends, play catch, 老鹰抓小鸡 (Eagles and Chicks) and team sports like basketball. My energy was boundless. As a young adult, I was blessed with good friends whom I go out to party and dance the night away five days a week. My energy was still boundless. Then, as a parent in my 30s, I could put up with late nights (feeding, nursing sick children) and still be up in the early mornings to tend to the kids. I miss the days when I could sail through a 12-hour day without so much as a sitdown in between. Alas, with age catching up, it is time to get on the physical fitness bandwagon. Having the INTENTION to get fit and ACTUALLY getting fit is different. 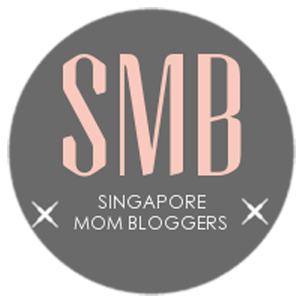 The initial rush of excitement when I signed on for the Great Eastern Women’s Run with five other mom bloggers – Angelia (gowinghearts123), Christy (KidsRsimple), Dee (prayerfullmum), Elizabeth (MotherKao) and Mei Chee (finallymama) in early July quickly died down. I found myself struggling to find time to run. My biggest challenge is getting OUT of the house! Find a partner or group of runners in similar grade to run or work out with. You end up encouraging one another and it is more fun to train with friends. Invest in a good pair of running shoes (if you haven’t already). Good running shoes for women are generally light, has the right amount of cushioning for shock absorption and offers support for your feet’s arches. Some of the recommended brands for running shoes include Adidas, Nike, Underarmour and ASICS. I chose Couch to 5K as it was an easy app to use. The applications are user-friendly and acted like a personal trainer. It instructed me to warm up for 5 minutes; then instructed me to start running, while playing the music that I had pre-loaded prior to the run. It tracked my running distance, path and the calories I burned. Run at 7am or 7pm. The former when it is not too hot to run in our tropical climate and the latter when the sun has set and the weather is cooler to run in. Reward yourself with incentives that are not threatening to your health regime. For example, treat yourself to a nice meal or buy that body flattering outfit. The key is to get started. Start with a 10-minute walk and work your way up the time scheme. A good tip I received from more seasoned runners is to alternate your running with walking and gradually lengthen your time. How did you motivate yourself to start running or any physical activity? Share them with Us in the comments below. We will also love for you to connect with Us on Facebook, Twitter, and Instagram. Good start! I carry my phone when I jog too. Not good though cos my hands ache after a while. Like what Jenn says, we have to get an arm band 🙂 Let’s jiayou together for the “BIG” run! Oh BTW, I haven’t hit big 4 but I am already feeling what you feel… lol!